Are you tired of trying to get good results with your current database program? Need a database that you can access and manage from anywhere? Need greater security with your databases? Look no further because the easiest and most secure web-based database solution has just arrived. Business Database & Survey Creator enables you to quickly and securely establish an online database that can be managed by a number of different users simultaneously from any location via a web-based interface. Gone are the days of needing a database specialist. 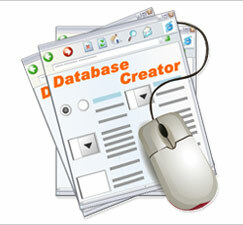 With Business Database & Survey Creator you can establish and maintain a database yourself, with guaranteed results. BeeCOS Business Database & Survey Creator brings all the power of databases to your fingertips without the need for training and without the need for Access, FileMaker Pro, or a Database Nerd! 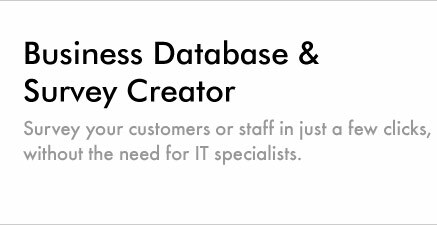 Business Database & Survey Creator seamlessly integrates into your BeeCOS Business Website Creator (cms & crms) framework. Accessible anytime, anywhere, you can now securely build and manage any number of databases via the web. One of the most useful applications of Business Database & Survey Creator is the ability to easily create and deliver surveys to your customers and clients, via the web. Fully Integrates with BeeCOS "Business Groups Relationship Manager"